You are here: Home / Great Deals / Mother’s Day 2012! I hope you are having a great Mother’s Day! My daughter had us over for dinner last night. 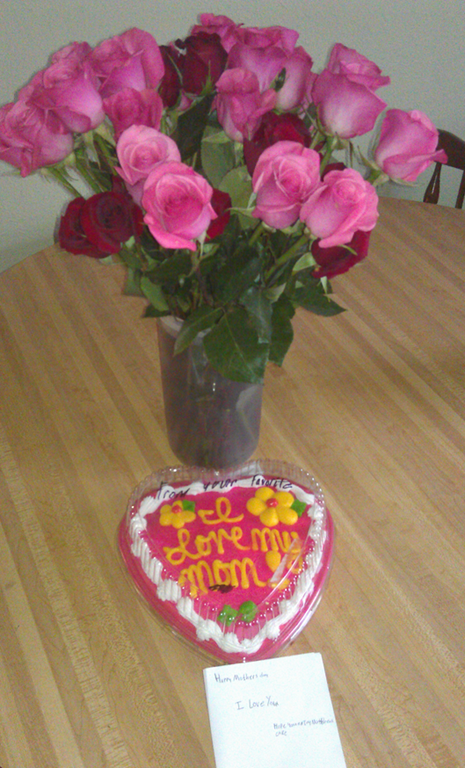 This morning I got 3 dozen roses, a cake, and a homemade card from my 3 sons. Then lunch at Olive Garden this afternoon with my hubby, all 4 kids, 3 grands, 1 son’s longtime girlfriend, 1 of my brothers and my Mom! All in all I feel very blessed! How is your day shaping up? How did your family celebrate Mother’s Day 2012? Filed Under: Great Deals Tagged With: "Mother's Day 2012"